This is a sponsored post written by me on behalf of The Home Depot. Thoughts and opinions expressed are my own. I am grateful to Home Depot for this opportunity to work with them and receive the materials to enhance and improve our backyard. We got the pathway staked out following Home Depot’s Garden Club project specifications. Then it was off to Home Depot to purchase all the components and tools for our new zipper path. I always look forward to a trip to Home Depot. 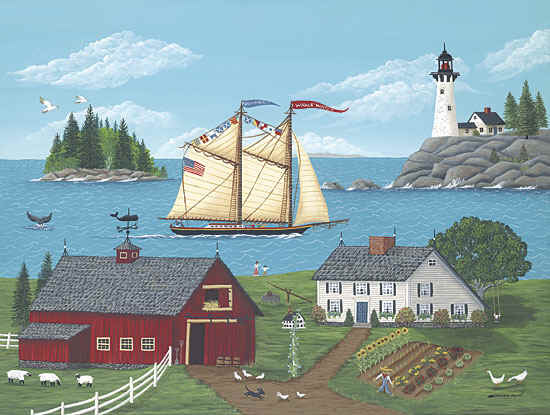 Living in a remote location like we do, it’s an 80 mile trip to the Home Depot in Bangor, Maine but we always fit it in with other errands (and I get Bill to take me out to dinner). 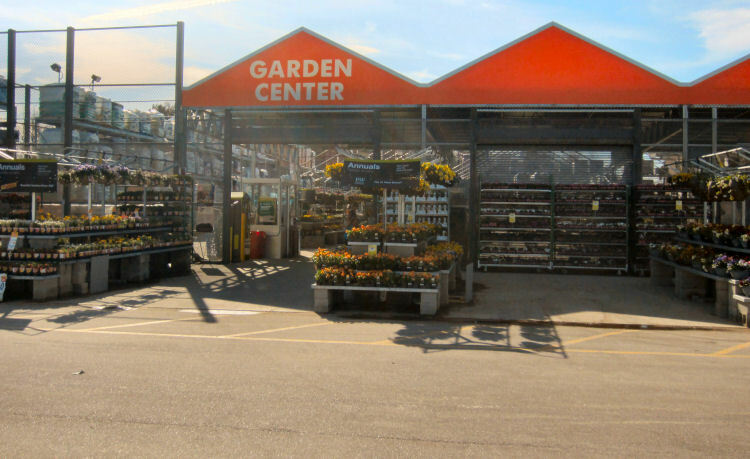 As we pull into the Home Depot we can easily spot the Garden Center section just bursting at the seams with plants! For a DIY’ers like us, a trip Home Depot is on a level with a trip to Disney World. I LOVE Home Depot! I’m talking major love affair! 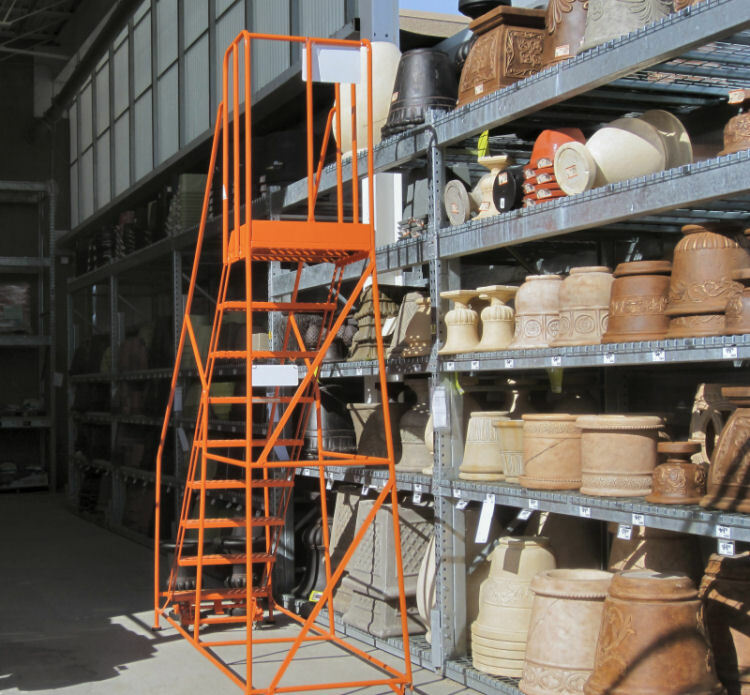 I can spend hours wandering the aisles looking at all the potential projects. 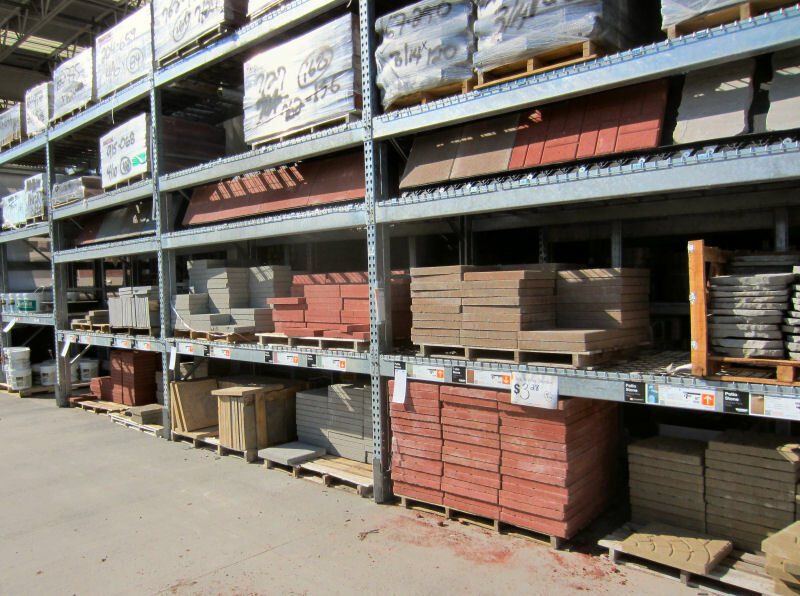 The selection is amazing and there are always helpful sales associates there with all the advice you need to make your project doable and easier. Poor Bill groans with the thought of what I might come up with as I scrutinize every aisle. But this trip, I am focused. I’m on a mission and I have my list of goodies, printed out from the Home Depot Garden Club website, clutched in my hands. Some of the things on the list we already had like the shovel, rubber mallet, tamper, measuring tape, stakes, string, and soil scoop. This isn’t our first home improvement rodeo! The Home Depot Garden Center is loaded with plants. A vibrant display of annuals greeted us before we even went inside! It’s straight to the garden center where I momentarily lost my focus! 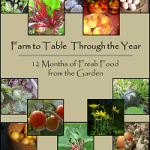 It’s easy to get overwhelmed with all the gorgeous plants and shrubs. I’m talking aisles and aisles of floral eye candy! 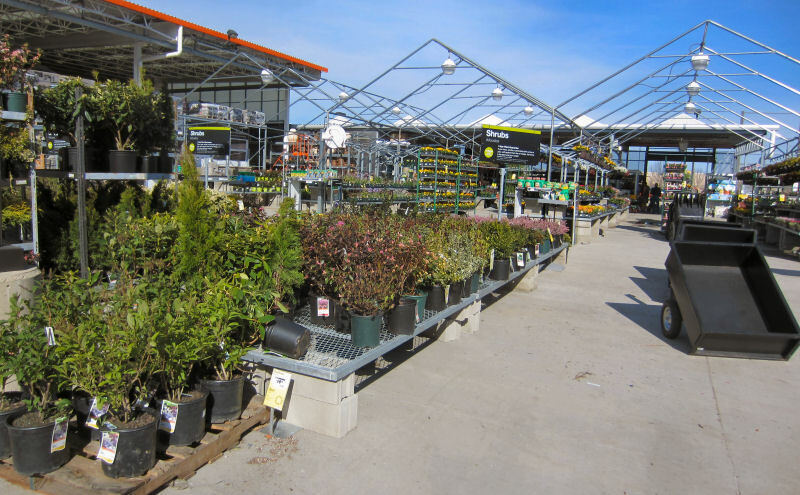 Aisles and aisles of shrubs, perennials, annuals, and more! Floral eye candy everywhere! 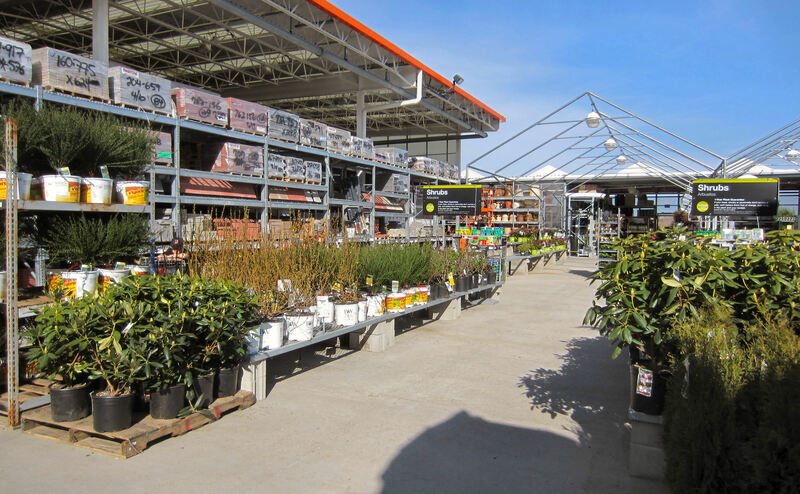 We will be putting in a lot of plantings this year and Home Depot has a great selection of the plants that I am looking for. All this planting and landscaping material was almost overwhelming until I found a knowledgeable sales associate named Nick to help me. Then I happened upon the section of containers. I have planned to do a number of container plantings for the decks and porches this summer so I had to stop and check them out! What a great selection! Bill and I are going to busy. I can’t wait. What a great selection of containers! 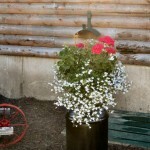 I am planning to do a lot of container gardening on our decks and front porch. Home Depot has everything I will need. Ooops! I’m getting sidetracked. Back to looking for paver stones. Thank goodness I happened upon a nice sales associate named Nick, who helped me find the things on the list. 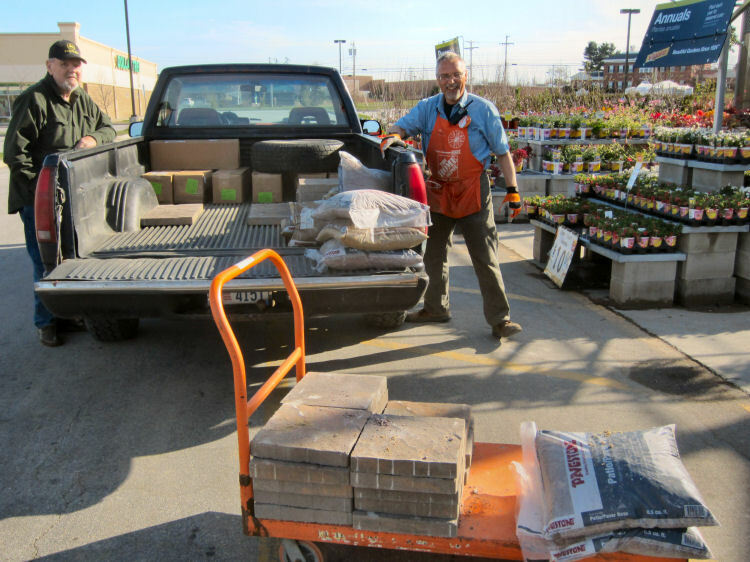 Check out the supply of pavers that we found at the Home Depot Garden Center. We had a lot of choices for our new Zipper Pathway. 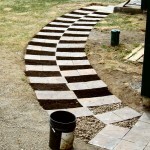 What a great selection of paver stones. I love the paver stones I picked out. They’re called Pavestone 12 in. x 12 in. 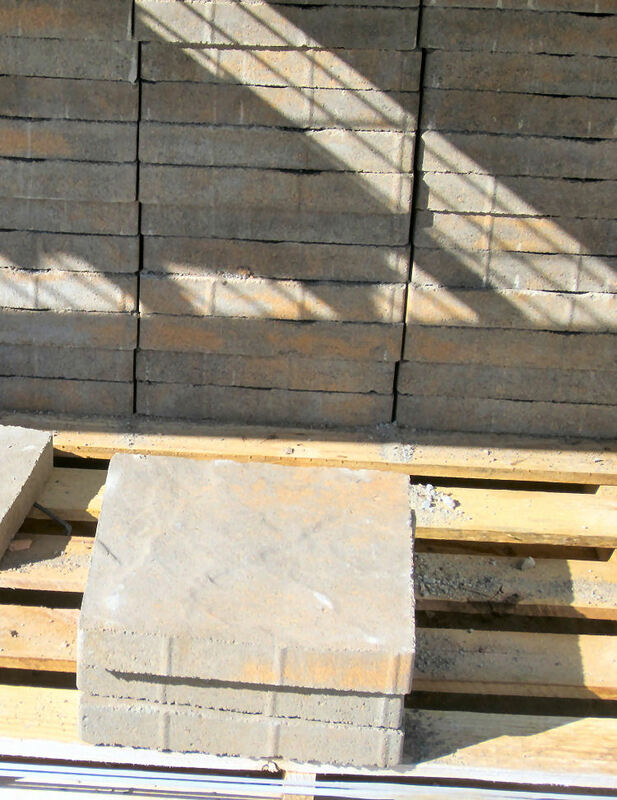 Fieldstone Tuscan Concrete Step Stone. 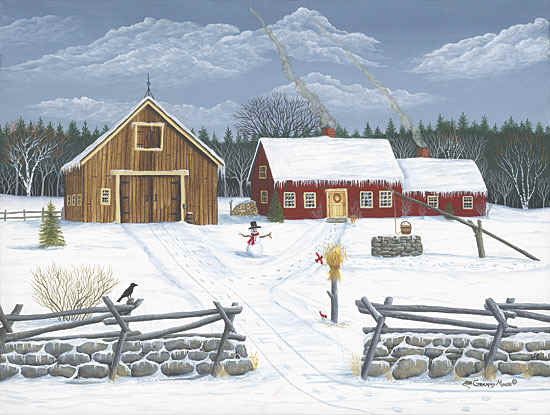 I think that the rustic look will blend nicely with our wilderness home. This is the paver stone that I chose. So with Nick’s help we gathered all the paver stones, bags of paver leveling sand and paver base, and Miracle Gro Garden Soil together and got them up to the Garden Center check out booth. Nick also helped me reach a decision on the ground cover problem. I decided on clover. Oconnors Strawberry Clover to be exact. I love the smell of the clover blossoms as we have white clover mixed in on our lawn. It perfumes the whole yard. The Strawberry clover will have to be seeded so we will have to wait for it to grow in. And, of course, the side benefit of clover is that it is a legume and enriches the soil that it grows in. A yard associate helped up with the loading of the materials. Everything went smoothly and it was so helpful to have a complete list of what we needed to do the job. A very helpful yard associate helped us with loading the 80 paver stones, bags of sand paver base and leveling sand, and garden soil. It was quite a heavy load for our 4 wheel drive pick up! Just another reason I’m glad that I joined the Home Depot Garden Club. When traveling 80 miles, you don’t want to have to run back for forgotten items! Now Bill had to take me out to lunch. Olive Garden, here we come! 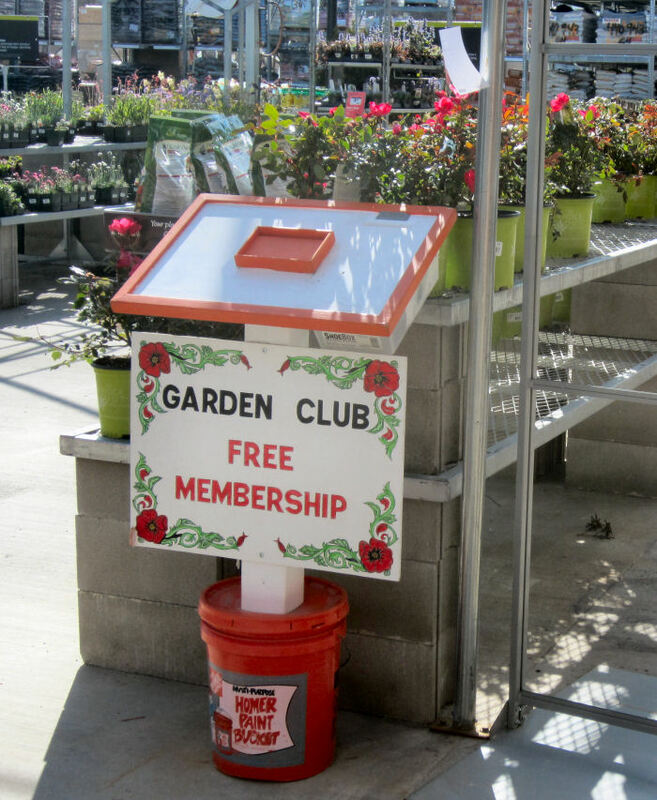 When you visit your local Home Depot Garden Center, be sure to sign up for the Home Depot Garden Club. There’s lots of great benefits. 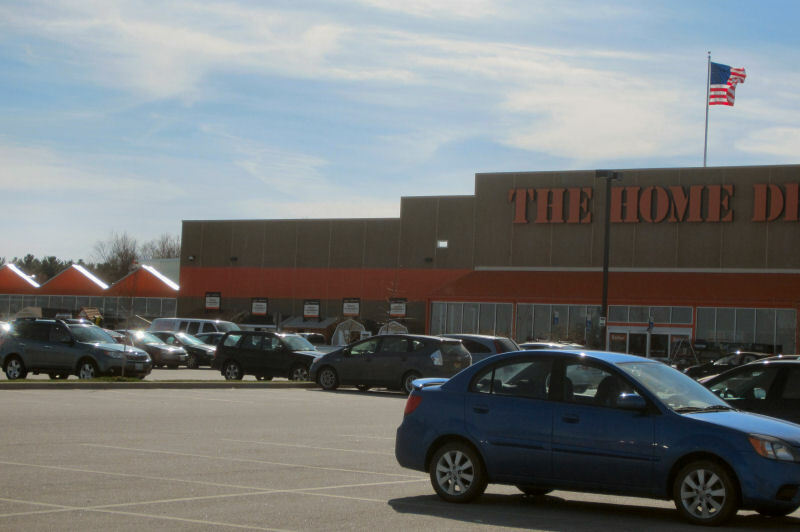 Seeing the photo of Home Depot’s parking lot, I immediately thought, WHERE are all of the pick-up trucks? Here in the D-FW area of North Texas, pick-ups are all you see at Home Depot. 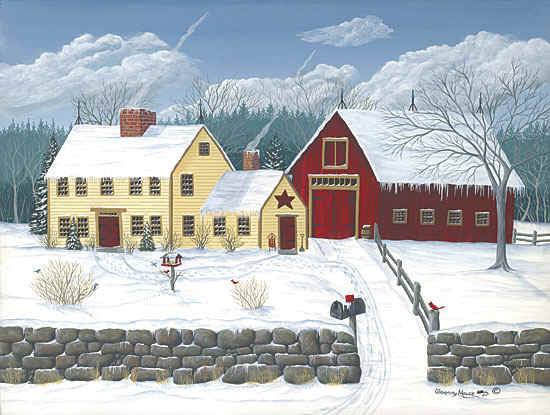 Especially here in Maine, where everyone drives pick ups but we were at the Garden Center end of the lot! The pick ups hang out at the other end at the contractors door!